There is a good reason why many people took David Bowie’s death so hard in 2016. 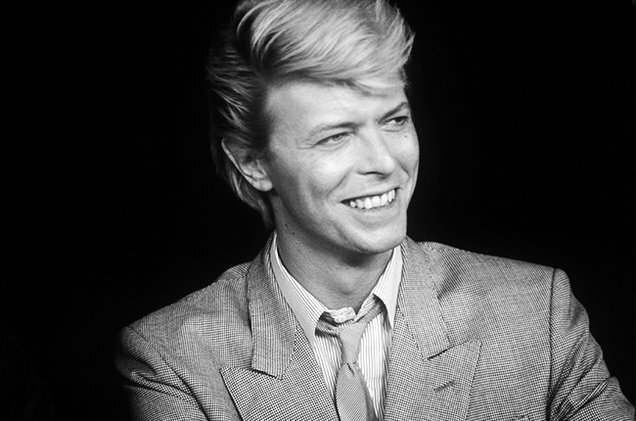 Simply put, David Bowie was a person who was truly unique and always knew how to reinvent himself. It seemed as though he was an immortal being in the world of music, thus making his death all the more impactful. For starters, he was known to be impressive at any styles of rock music. He could do well with mod music, more R&B-inspired work and even some harder punk-edged songs. His performances were always known to be rather mysterious. While his music was always out there, there had been many questions out there about what inspires him and what makes him so entertaining and intriguing. The influence of David Bowie has carried over in many forms. This is especially the case with grunge rock musicians and even some lighter R&B acts. In fact, Bowie himself was a key influence to grunge through his short-lived Tin Machine project. The challenge of trying to figure out David Bowie’s ten greatest songs is great when you consider how immense his influence is. Here is a look at what we think are his ten best songs. Bowie and Brian Eno were inspired by a story of lovers from opposite ends of the Berlin Wall. The song is famous for how it evokes a feeling of hope for peace and change throughout the world. The song remains important to this day and almost hit the UK Top Ten chart again not long after Bowie’s death. David Bowie had been known for being able to change his style on many occasions. This song is reflective of how he always worked to make himself unique and was bored with being the same as everyone. Bowie does great with the saxophone to create a special vibe while Yes’ Rick Wakeman adds another texture to the song on keyboards. In 1975, David Bowie tried out the soul music scene with Young Americans, a smoother album that is famous for its title track. The song is somewhat cynical about the American government and how many people had been held back by it throughout their lives. The song is mixed perfectly with its own horn section and a backing vocal arrangement supported by Luther Vandross. The mix of folk and psychedelia in this space-inspired song about a lonely astronaut made this one of the most iconic songs in Bowie’s career. The song might have been about an astronaut in danger but some believe it was made as a parody of sorts of how the United Kingdom was attempting to develop its own space program. To this day the song is still symbolic of the mysteries of space. Bowie’s Let’s Dance album marks a turn to the more modern electronic sounds of the 1980s. The title track for the song is a great dance number in its own right with plenty of references to the beauty of getting on the dance floor. Stevie Ray Vaughan and Nile Rodgers added their own memorable guitar parts to this song. Bowie has stated that Little Richard was a key inspiration for this song. It is about how tough man’s struggles with God are. While it has its own great soul-inspired beat, it is also a song which is very deep about romance, faith and respect. Bowie re-recorded this song with Tina Turner a few years after its initial release. Originally written to be played by Mott the Hoople, that band declined it although they did record All the Young Dudes, another Bowie song. Suffragette City has been open to interpretation over the years but it is clearly a song about finding women and respecting them. The great music on this song was also inspired by Little Richard. Bowie is often referred to by most as the Starman after this famous song of his. Designed as a song told by someone who loves Bowie’s famed character Ziggy Stardust, the song has been interpreted by some as being about the Second Coming of Christ. One point is for certain is that it evokes a feeling of mystery over the future. David Bowie continued to release great music all the way until his death. Lazarus was released as a single just weeks before his death and could be seen as a great coda to his music career. The song’s lyrics are seen as an epitaph of sorts. It is about how even with everything he has done and could have done, Bowie is not afraid of death.